In the sprawling Hotel Ashoka lies the high class luxurious restaurant ZERRUCO where every corner is lively, cheerful & happy with balls & petals of changing lighting according to the day or night pattern providing a premium dining restaurant experience in the premises of Diplomatic Enclave in Delhi. The high end deconstructed midtown lighthouse warehouse is bordered in glass & alfresco area lined with wooden panels & the mood lighting also reflects in every corner. They have the city’s selection of the choicest contemporary Mediterranean cuisine. The restaurant is changing the way food culture is defined. Moving from the old menu they are coming out from the nutshell with people’s demands & adding more variety & flavour with dishes like imported lamb chops, caviar pizzas & moroccon green chicken kebab. The new menu has 25 starters apart from the old ones in a mix of roasted & fried. So the exclusive news on ChicLifeByte is that they’ll be launching the new add-ons soon & people who are food lovers will love the place for its charm & you are sure to hit a note on their dance floor with the special dance lighting making it an ideal romantic restaurant. 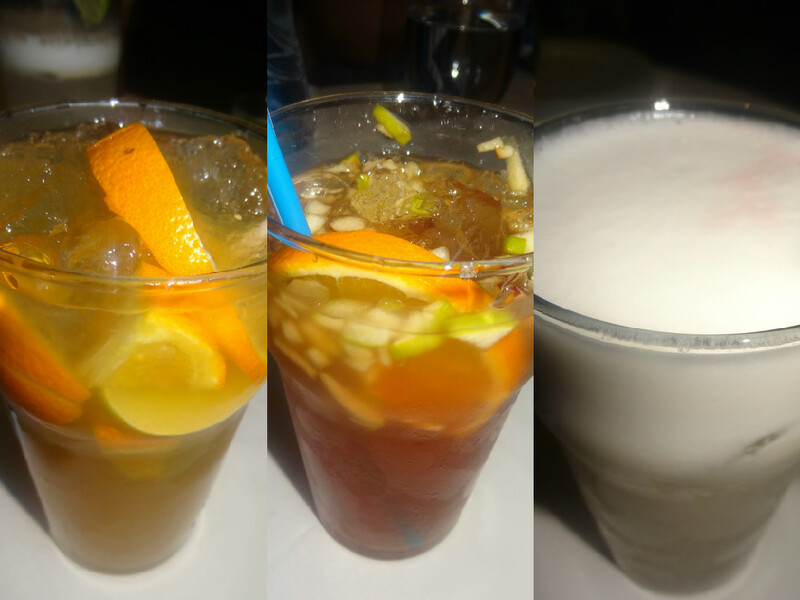 For the drinks, I tried their fruitful, yummy & custom made designer mocktails. Their signature mocktail was the Orange Blossom with orange slices. It had a lovely citrusy flavour with crushed ice which blended well & tasted just fine. The second mocktail was Ronella which had small pieces of pear, apple, orange, cranberry with mint & basil. It was fresh, tangy & lovely to taste. The pieces were lovely to bite with the orange & minty taste it was worth trying. The third mocktail was 3L’s which was Lychee/lime/lemonade (mix & blend of all 3). It was tangy, frothy & tasty soothing your inner soul & quenches your thirst. A good summer medley mix! Coming to the food, The Moroccan Green Chicken had tahini, sesame seeds & spices served with a dip. The lovely awesome goodness of the aroma & flavour of Moroccan herbs was perfectly blended in marinated barbecued chicken which is cooked overnight. 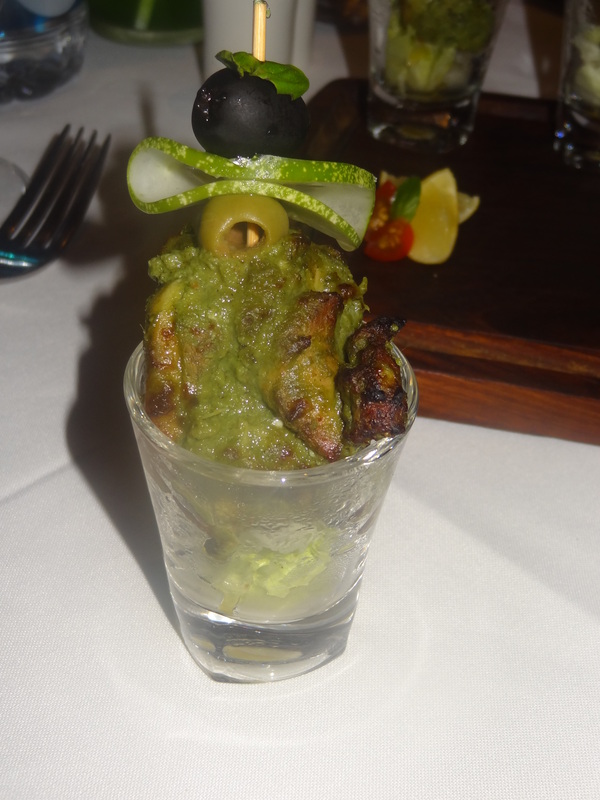 It was superb to taste & to top it all it was layered on a stick with basil and fresh black & green olives & served in a glass which was incredible & it is highly recommended for people who don’t like very spicy chicken. The fresh taste & the Morrocan blend made it a delicacy to remember & this was the Chef’s special recipe not yet launched yet. 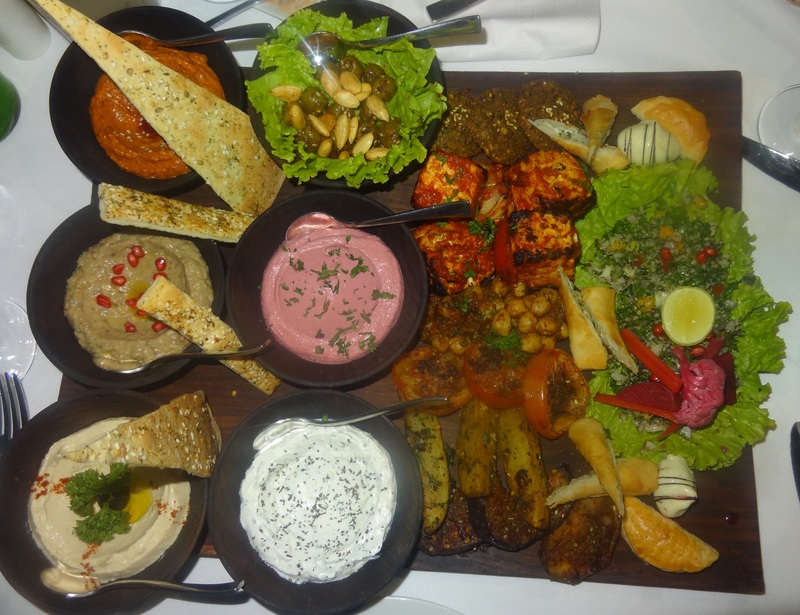 Then came the king of all dishes- the Chef’s Special Veg Mezze Platter which is their hot selling signature dish. 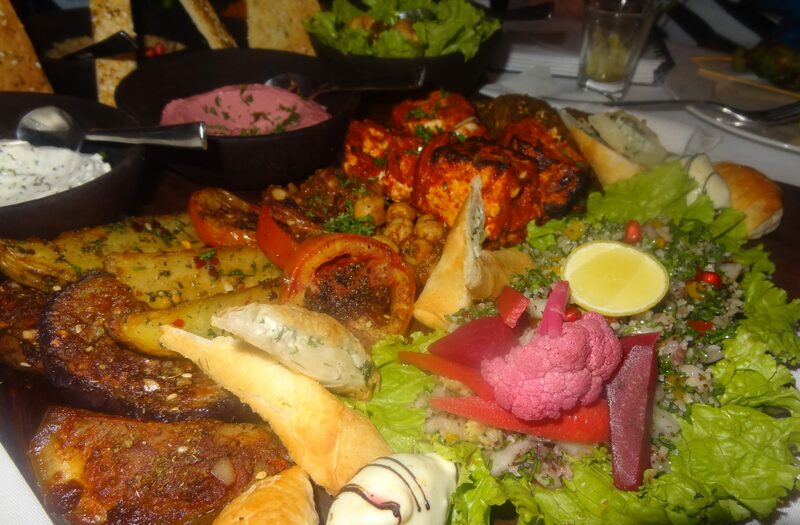 It was a combination of Hummus, Beetroot Hummus, Tzatiki, Avocado Dips, Baba Ganoush, Muhamarra, cheese samosik, fatayer, spiced puff, grilled eggplant, potatoes, tomatoes, finger salad, tossed chick peas & cottage cheese, Dolmade, sweet coated Dates served with Pita Bread & Lebanese breads. Whoosh! Some of the components were: Tabula salad (made of cous cous, basil & bell peppers; highly nutritious), spiced puff (chilli & nice taste), sweet coated Dates (very different & unique) & feta cheese rolls. The pickle (home-made) made from all the Arabian, Spanish & Indian spices mixed together to form a unique & great taste leaves you scintillating & excited & you feel like it’s worth spending on a choice of ingredients. The cottage cheese was good, soft & tender with chickpeas. The platter is enough for 4-5 people to share. It is a healthy & nutritious blend of perfection in hands tossed together with love & yes spices of course. So be a game & try it! 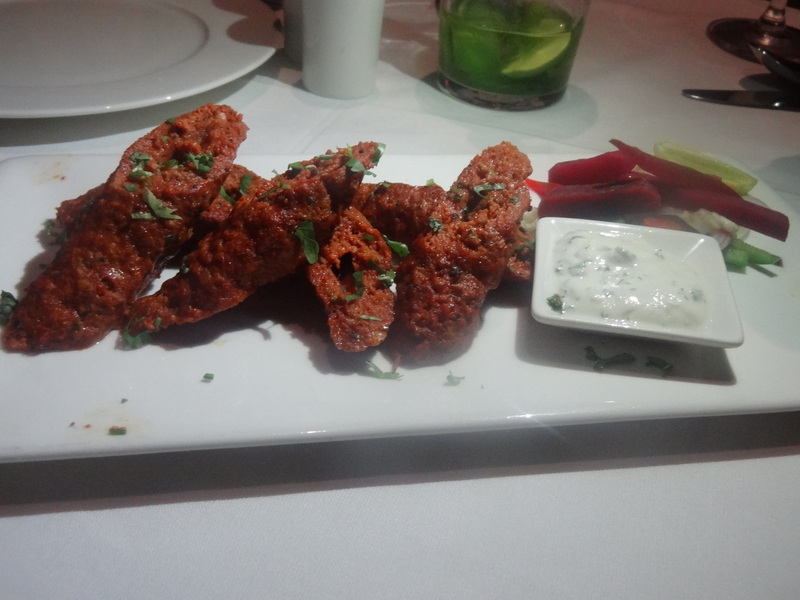 Next, we had the Lebanese Kofta. It was minced lamb meat marinated with Arabic herbs. It was chargrilled served with tahini & pita bread. The kofta was hot, smooth, soft & fresh. We were already almost full but could not have missed the main course. 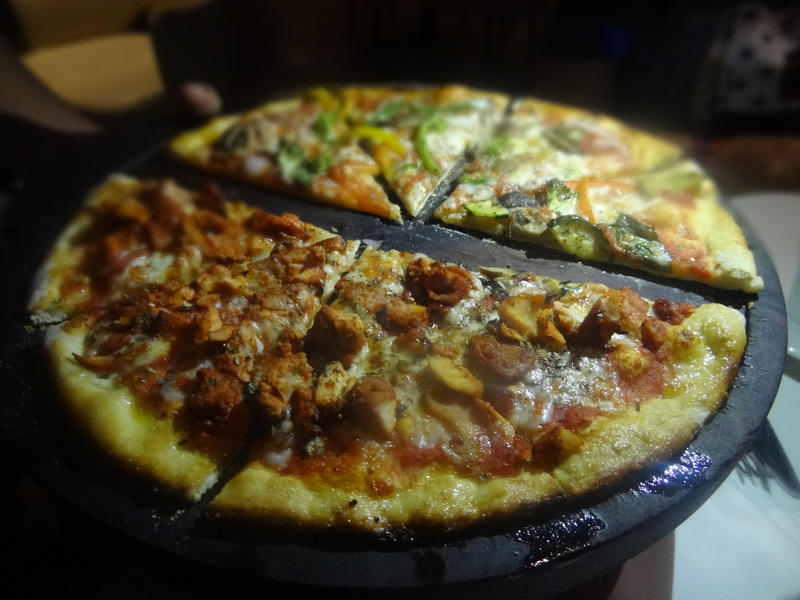 It was difficult to choose between veg and non-veg pizza and we were sure that our appetite could not have handled both. Just then the server gave us the option of a half n half pizza so the pizza we got was half Grilled Veg Pizza and half Chicken Shish Touk Pizza and the best part is that this was not only for us but they do it for their customers as well. Isn’t it amazing??? The Grilled Veg Pizza had broccoli, zucchini & tomatoes with lots of mozzarella cheese. It was a new & different combination with lots of seasonal fresh grilled vegetables. In all, a crispy & thin crust pizza which was awesome as the topping was lovely & rich. The Chicken Shish Touk Pizza had Tomatoes, mozzarella, Lebanese marinated chicken & capsicum. It was a spicy, thin, crispy & cheesy pizza with rich dollops of toppings working its spicy & hot magic on my tongue. 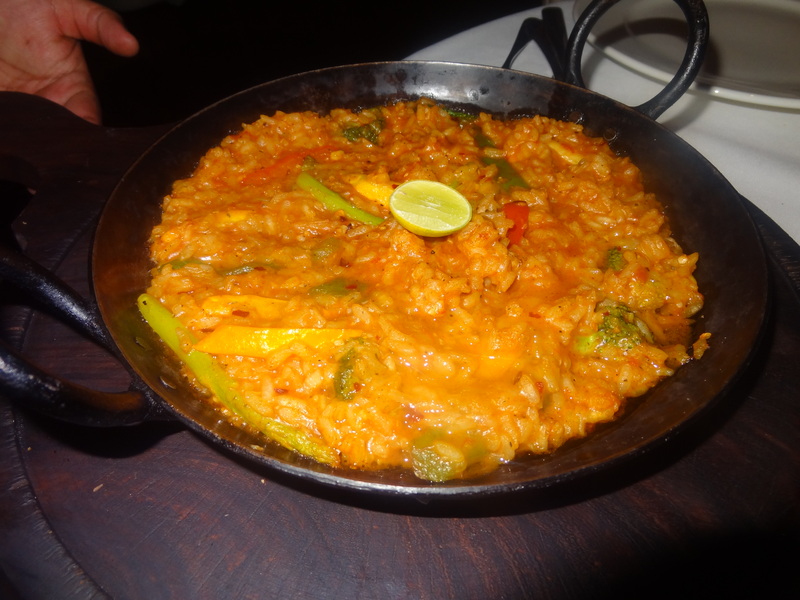 The Veg Paella was a Spanish Rice preparation with bell peppers, zucchini & asparagus. The rice used in the Spanish rice is Arborio rice. The dish was warm & spicy with the delicate flavours of all the Arabic & Spanish medley spice mix served with lemon garnish. The flavour came well & nice. People should try this amazing recipe. For the desserts, I selected their Tiramisu & Baked Cheese cake. 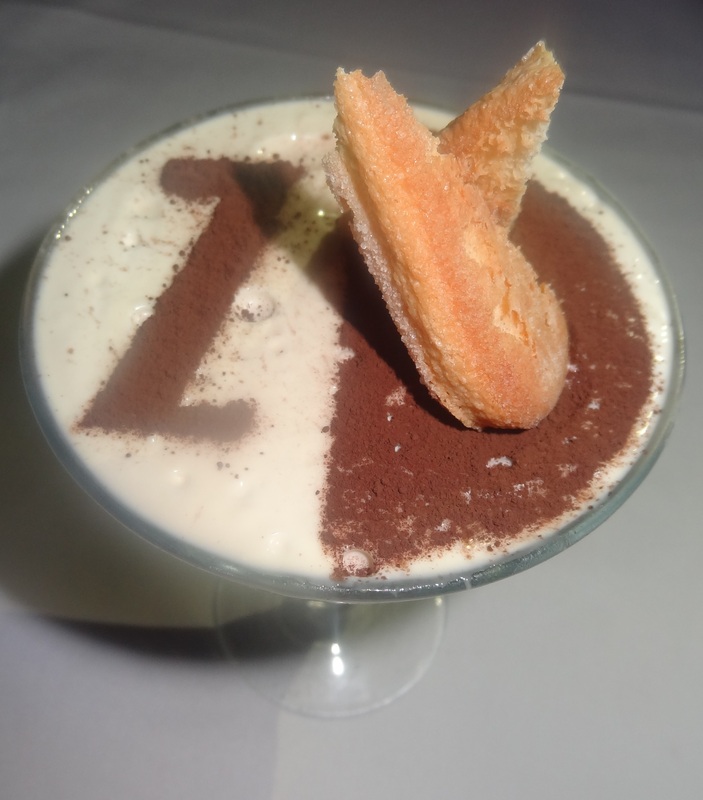 The Tiramisu was flavoured with coffee & mascarpone cheese. It was good to taste with the sponge fingers on top. 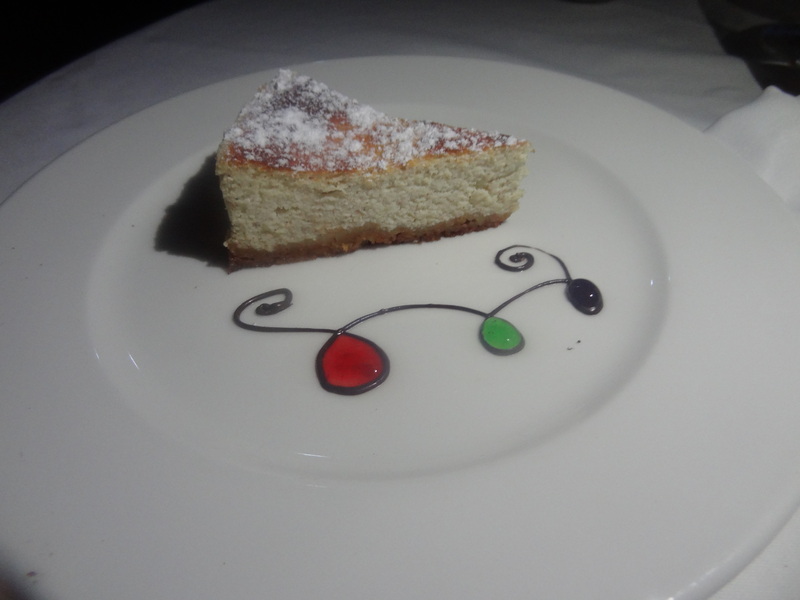 The Baked Cheese Cake (Ricotta) was soft & mushy. It was a lovely end to the night with the perfect sweet taste in the mouth to remember. The trainee captain Saurabh Panwal was all geared & charged up to serve & went into all small details of what we would like. He was very helpful, cooperative & polite. A Great efficient captain on duty! Love was on the house & each soul hitting at the cozy place was mesmerized by the beats of DJ Honey Gulati the in-house DJ who picked up music from Punjab, the romance from Bollywood & churned it in a way that everybody swayed to the rhythm & enjoyed the beauty of the place along with the exotic Mediterranean food. I was entertained & enjoy with the lovely staff, people, ambience, lights & the excellent food. It is worth a visit & make sure you come back for more Mediterranean goodness.